Tomorrow is FRIDAY! Are you excited for the weekend? Today I'm back with another swatch for you. This is Green With Envy by Sally Hansen. There is an original formula of this polish as well as this one which was remade with their new formula. Let's see how this holds up! 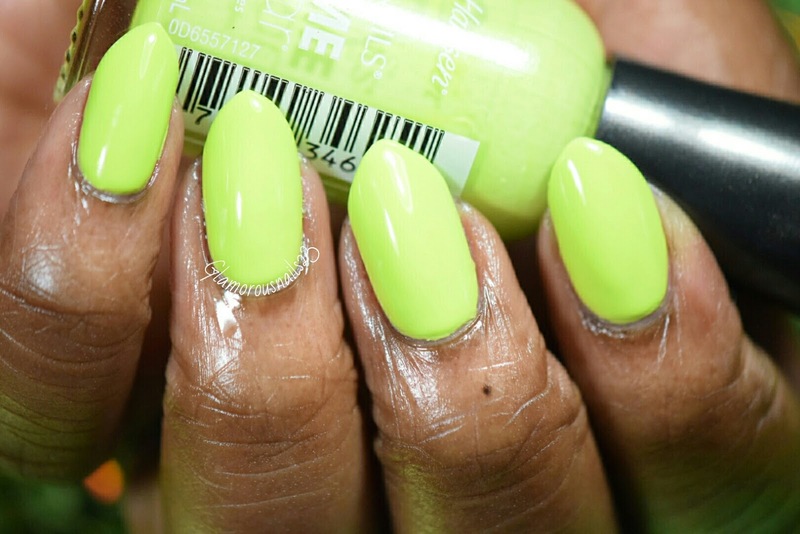 Green With Envy is a granny smith apple green creme polish. Now as for the formula on this one was just okay for me. It was really streaky on the first coat and I could see some bald spots on the 2nd coat. By the third coat it was fully opaque. I don't really fancy the color against my skin tone either. I also have the original formula of this polish so eventually I will get around to sharing that one with you and see if there is any difference. Shown is three thin coats with a top coat. Sally Hansen Xtreme Wear polishes can be found at your local Wal-Mart, Shopper Drug Mart and Rexall. 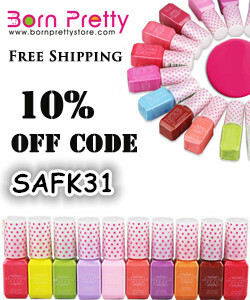 These polishes tend to retail for about $1.99-2.99. What do you think about this polish? Do you own it? 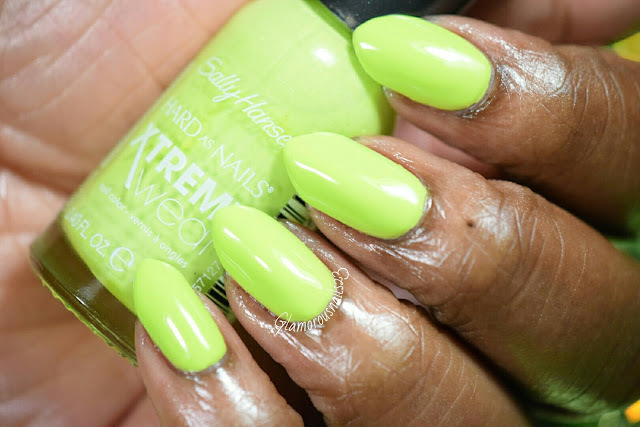 Do you have any polishes from the Sally Hansen Xtreme Wear line? 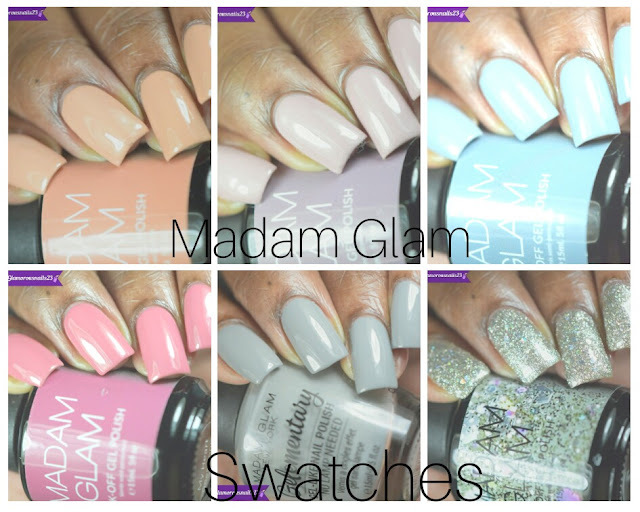 Let's chat Sally Hansen down below! I don't have this polish but others in the same green shade, unfortunately this color doesn't match with my skin either. Greens don't go well with my skin tone by themselves either. I like this shade of green though. Talk about a bright green! I love it! Thanks Stephanie! It really is bright! Well that makes the two of us lol! Thanks Tracey! At least I'm not alone :( lol. Wow, that's a bright green! (Seems to be the concensus here ;-) ) I'll be interested to se how it compares to the original formula, though. I've heard some terrible things about the new formulas. It sure is bright! Ya some of the polishes with the new formula aren't that great. Sometimes it's really a hit or miss. BUT they still work well for water marbling.